LNG plant operators Santos GLNG and QGC have officially opened their new marine operations terminal in Gladstone, a $17 million project that created more than 100 local jobs during construction. 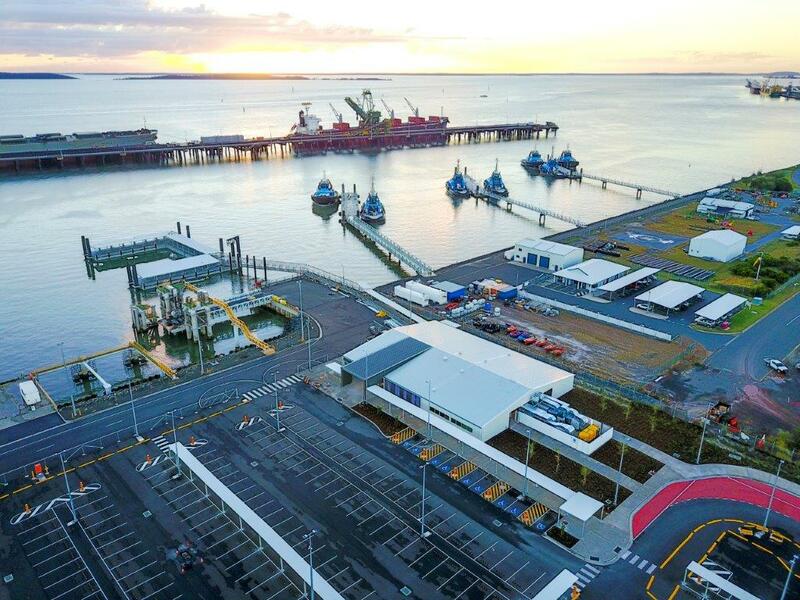 The new terminal, located next to the RG Tanna coal terminal at Port of Gladstone, will be used by the gas companies for passenger ferries and goods transport to and from Curtis Island. This will involve about 100,000 personnel trips per year as well as roll-on, roll-off and load-on, load-off transfers of equipment and materials. Santos GLNG general manager downstream operations Brenton Hawtin said the new terminal was a great example of the ongoing collaboration between the LNG projects on Curtis Island. “We are proud of our significant contribution to the Gladstone community through jobs and ongoing investments, and we look forward to continuing to play a major role in the local economy for many years to come,” he said. QGC asset manager Peter Norman said dozens of local suppliers and contractors were engaged throughout the design, civil, construction and fit-out phases of the project. Gladstone company Golding Contractors led the construction of the facility, which began in September last year.